This post is a small infographic to depict the beauty of the human body. Our blood vessels are distributed around our body in an intricate pattern that seems like design by a professional artist. Hypothetically if we laid out all of our blood vessels they would be around 100,000 miles long. 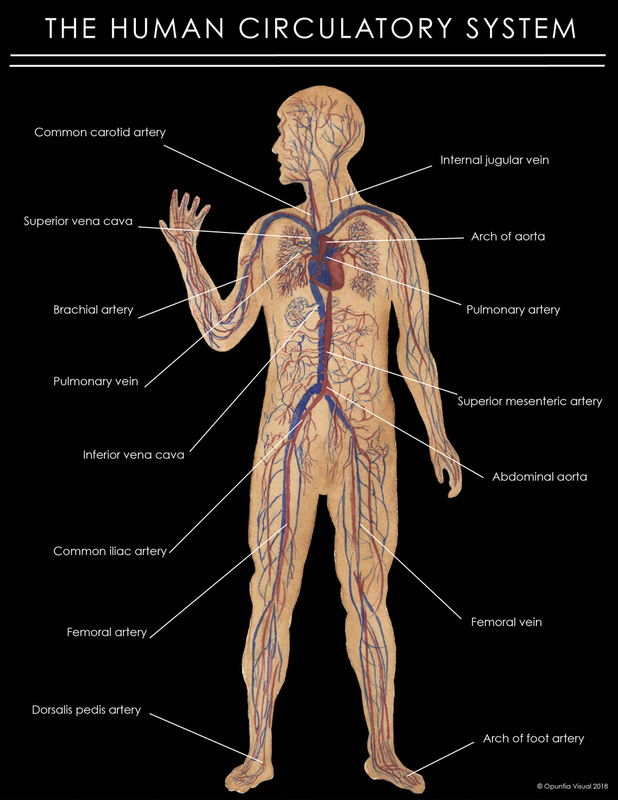 As part of the blood vessels there are arteries (in red) and veins (in blue). The arteries carry oxygenated blood away from the heart through the body while veins carry the blood (with poor oxygen) back to the heart. All together, the circulatory system is responsible for the flow of blood, nutrients, oxygen and other gases to and from the cells.